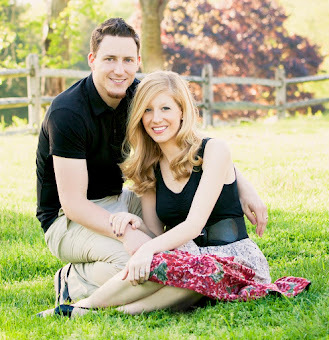 The Holymess of Marriage: Do We Really Need That? As things are settling in a bit with our little dude, we finally wanted to get back to finishing the series we started (months ago now!) on finances. If you have missed our previous posts in the topic, you can scroll down to the bottom of this page and catch up. "Figure out what your non-negotiable monthly expenses are. This includes things like rent, groceries, utilities, school loan payments, gas for your car and anything else that you both decide you just can't live without." Groceries are obviously a need because we need to eat...but what about organic food (thus more expensive) versus non-organic (cheaper)? Want or need? What about name brand cereal versus the store brand? What about lots of snack foods or desserts? Or gluten-free foods? A roof over our head is also a need, but is owning your own home versus renting a want or a need? More so, what size home to do you really need versus what you want? Melissa and I lately have found ourselves quickly discussing that our house is getting a little too small, especially in light of our little dude getting older and the fact that he will be a lot more active soon. 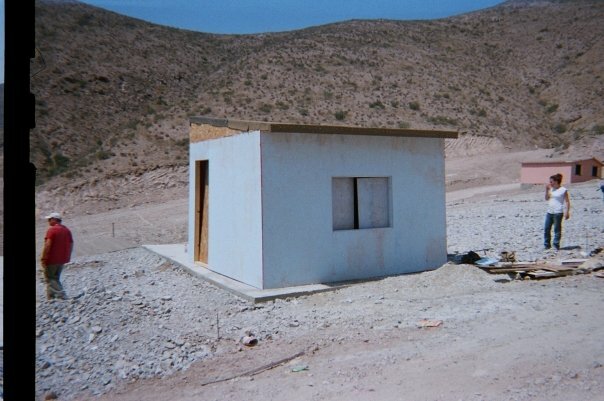 Yet, at the same time I am preparing for my 6th trip to Tijuana, Mexico this summer to build 12' x 12' houses like the one on the right for whole families to live in. So, how do we handle this conversation and decide what we want versus what we actually need? First, we must learn to see our lives from the correct perspective. When you look up "need" in the dictionary we find the words "requirement," "obligation," "duty" and an "urgent want." That's pretty strong language to define what the needs in our life really are. We are talking about things that we can't live without. What's interesting is that when you look up "want" in the dictionary, the first definition actually reads, "to feel a need for." So a want is something you feel like you need but you actually don't. I'd say that the majority of the things that we have here in the west actually fall into this later category whether we like to admit that or not. This is not to say that we shouldn't have or enjoy any of these things (see the last bullet point on step three of Building a Budget) but, as this series is about being smart with our finances we have to make sure our perspectives about wants versus needs are correct before we decide what to spend or not. A lot of times people find themselves in massive amounts of debt because too many "wants" find their way onto the non-negotiable lists of our budgets. Second, as you and your spouse figure out what are your non-negotiables are when it comes to expenses the next thing we need to do is listen and compromise. Sometimes, as long as the money is available, a felt need that goes beyond a life or death issue is completely valid whether we understand it or not. This could be something like a need to get away with a group of close friends for some R&R and time away from the demands of your kids or job. If you spouse is telling you this, take the time to really listen and try to find a way to make it work before just dismissing it because it's not a need you have. Going on a nice date could also fall into this category. For Melissa and I, we have "fun money" each month that is designated towards dates and time together because we feel it's important for our marriage. At the same time, we also had to compromise on how much we set aside for this as I was willing to spend more on this than Melissa was at the time. Third, remember that needs change. A few years ago, we had a season in our lives where we really only needed one car. In an effort to save some money and pay off some debt we made that work for about a year despite the occasional inconvenience. However, at that time we lived within a 5 minute walk to my office. Now, I have about a 25 minute commute and making things work with one car became rather difficult. We eventually had to get a second car so Melissa wasn't trapped at our house all the time. What might be a want today, could become a need tomorrow or vice versa. Lastly, as you discuss what things are a want or a need, we have learned to have patience before you spend and to simply pray and ask God for Him to give you what you need. 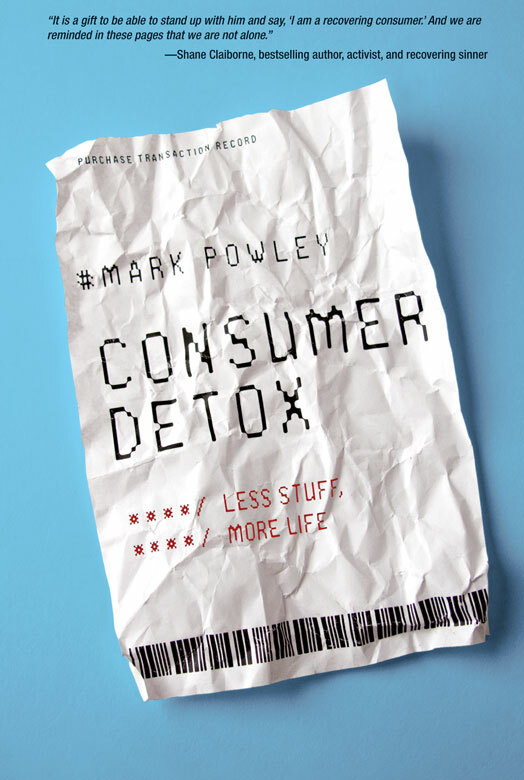 This actually comes from a friend of ours named Mark Powley and his fantastic book called Consumer Detox. He tells a couple of great stories of his family doing this where something in the home broke or they just simply wanted something, yet instead of just running out and buying it, they waited as long as they could and they prayed. Over and over again, God surprised them when people ended up giving them exactly what they asked for. We sometimes forget that we worship a God who promises to give us what we need and He will come through on that promise...and sometimes He gives us things we want as well! P.S. If you're interested, I recently preached on this topic. You can check that out here if you want.